This was only my second attempt at English Paper Piecing. I really enjoy sewing by hand, but don’t always enjoy how long it takes. 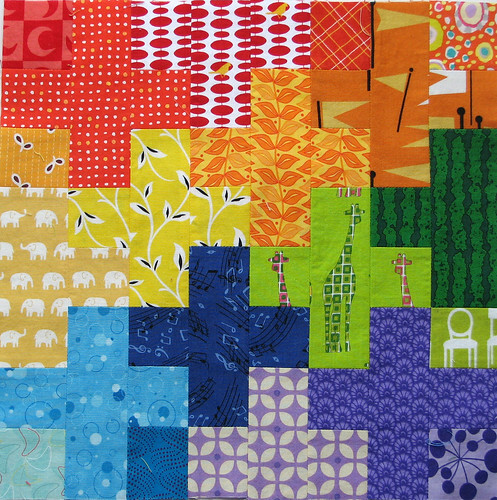 This block was just the right amount of time (a whole quilt of this would obviously be too much!). I used this tutorial from The Sometimes Crafter to make the block, because I didn’t want to reinvent the wheel if I didn’t have to. It was a great tutorial and super easy to follow. 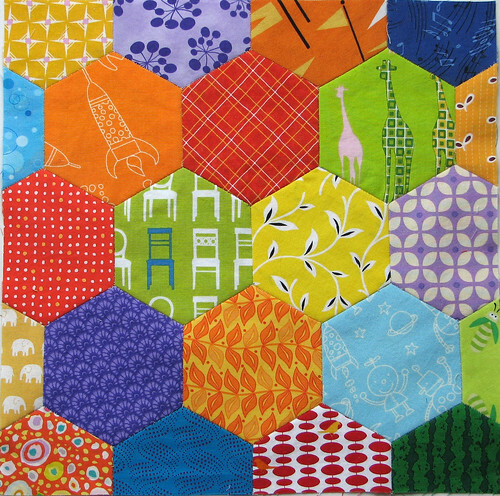 I must admit, I have a little bit of Hexagon love right now. I might need to applique them onto some little girl clothing to cure myself.